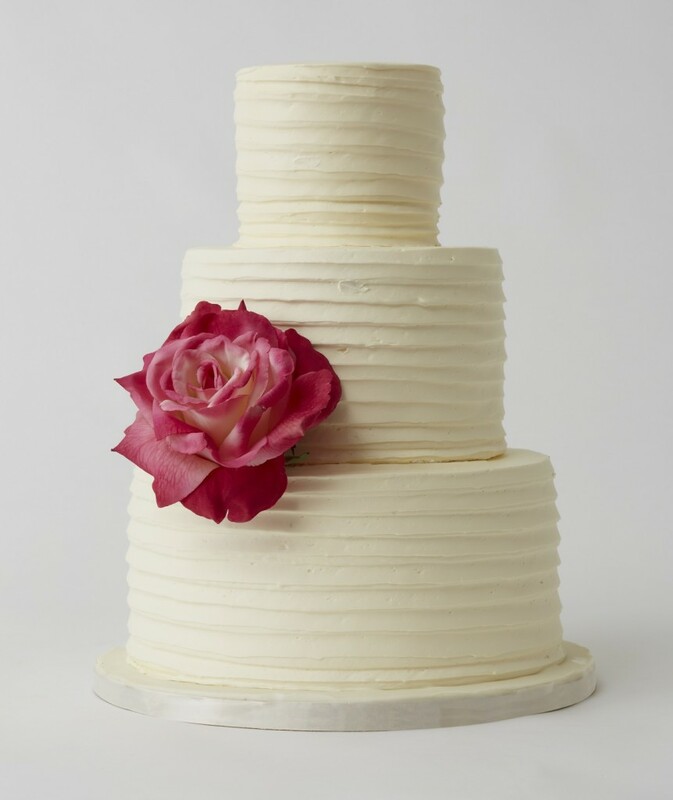 Sometimes all you need to make a statement is a simple yet elegant wedding cake. The three tier cake features elegant buttercream icing that almost resembles pleats in a wedding dress. And the only embellishment the cake needs is a brightly colored fresh flower. This version of the cake features a lovely red rose, but if roses aren’t your favorite it would look stunning with other big and bright flowers. I imagine this cake at a fall wedding with a large sunflower or maybe a Gerbera daisy. Maybe you’re having a tropical wedding – you could use a hibiscus or some other tropical flower. The possibilities with this cake design are endless and you can personalize it however you want. You can find this lovely cake here. The cake was created by LuLu Cake Boutique.